Essential viewing on the iconic comedian. 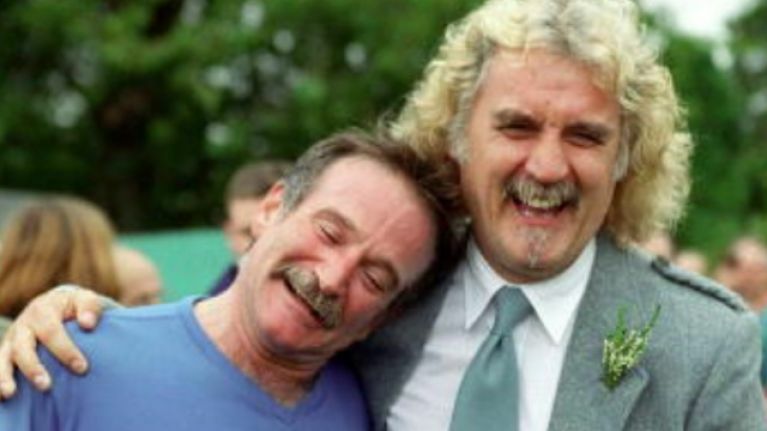 It's a tribute to the generosity and kindness of Billy Connolly that despite his poor health, the comedian still took the time during the most recent Comic Relief to help raise funds for other people in need of care. As you may know, Connolly was diagnosed with cancer and Parkinson's disease almost four years ago. Arguably no other comedian has consistently made people laugh as much as 'The Big Yin' has throughout his illustrious career behind the mic. Before Connolly's ill health limited his touring schedule, the gifted comedian treated us all to one of his best ever shows, Billy Connolly's World Tour of England, Ireland and Wales in 2002. Of course, this TV special was an homage to his tongue in cheek World Tour of Scotland back in 1994. This Christmas, fans will get a chance to go back to the comedian's roots as the BBC have announced that they will be broadcasting the documentary Billy Connolly: Made in Scotland over the festive season. As stated in their synopsis, the documentary will be "weaved around private interviews, along with contributions from some of the greatest names in comedy and popular culture". The documentary features contributions from the likes of Eddie Izzard, Ross Noble, Tracey Ullman and it charts how Connolly forged a career and re-wrote the rules of comedy. Billy Connolly: Made in Scotland finds Billy returning to Scotland to reveal the influences and motivations that turned him from being Billy Connolly the welder into Billy Connolly The Big Yin. The documentary airs on BBC2 at 21:00 and it's followed by a BAFTA Tribute to the iconic comedian.